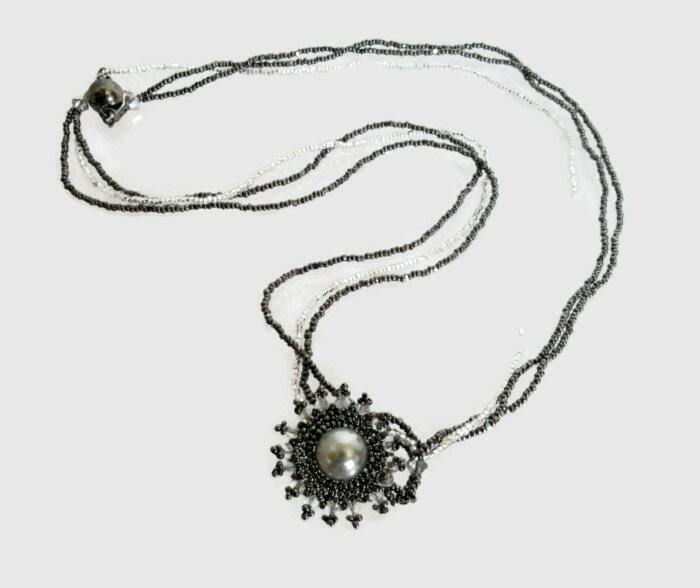 Pendant stitched with tiny hematite charlottes around a 12mm Swarovski Light Grey crystal pearl with 3mm Swarovski clear crystal picots. 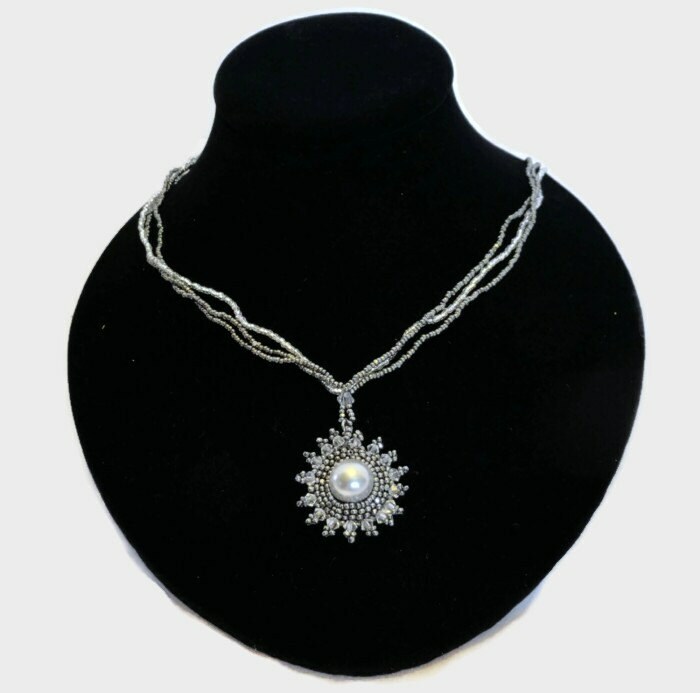 The multi-strand chain is composed of tiny silver-lined crystal and hematite charlotte seed beads with a gun-metal magnetic clasp for easy fastening. 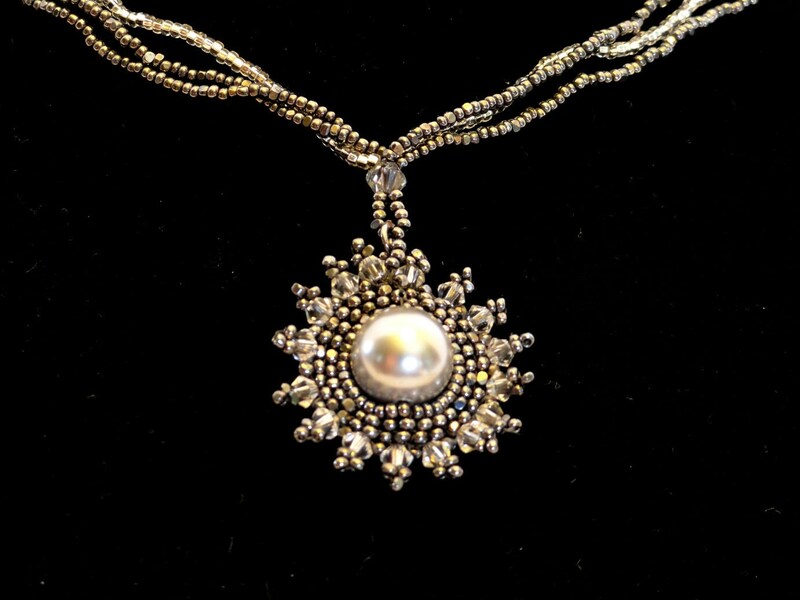 The matching Starry Night Earrings are a smaller version of this pendant.